I've been pinning up a storm lately, which has led me to rediscover my love for Iittala. I first got to know about Iittala when I was living in Helsinki (couldn't have been more fitting :). Finland has definitely shaped my appreciation of clean & simple design that's also highly functional (yup, I think it must be prettttty clear by now... I LOVE simplicity :). This is why I'm totally head over heels for these Leimu lamps. They were created by Norwegian-born & London-based designer Magnus Pettersen for Iittala and were exhibited at Clarkenwell Design Week. I love the use of the word 'Leimu' as well - it means 'flame' in Finnish and since the use of light is a really important part of Nordic design, I think they couldn't have picked a better name. The lamps have concrete bottoms but they are mainly made of glass. Pettersen has indicated that he wanted to 'combine opposites in a lamp'. 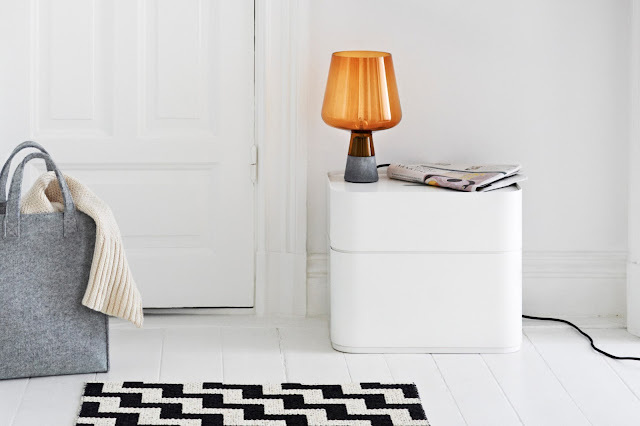 Don't you think this lamp totally evokes cold & warmth? I love everything about it - the shape, the materials, the orange glass shade. Sophisticated yet cozy! 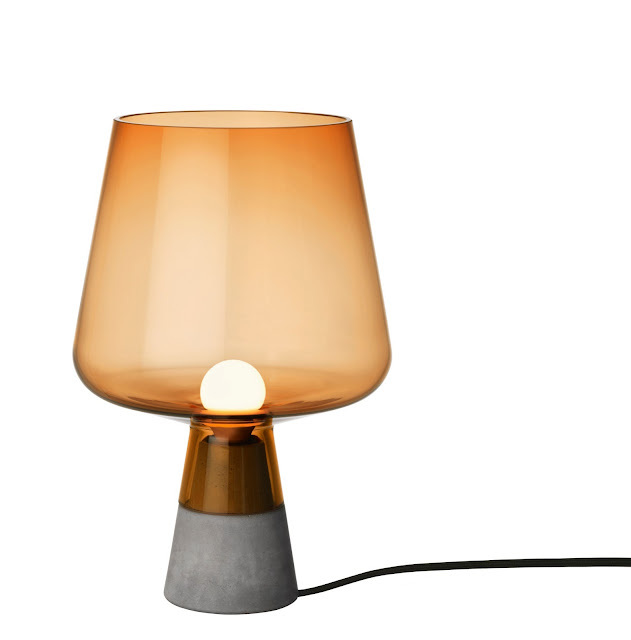 Coming to an Iittala store near you this September (totally adding this to my wishlist ;).